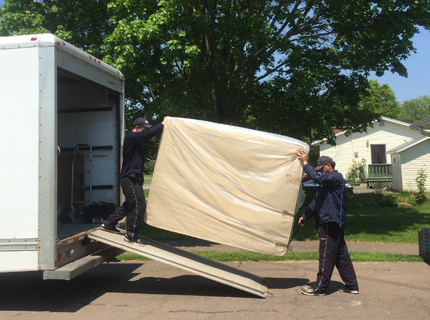 Depend on our trained, professional staff for all of your local moving needs. 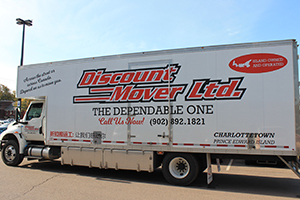 Here at Discount Mover we have over 35 years' experience moving your valued items safely. Moving larger items needing to be disassembled and reassembled? No worries ! We will do that for you. Whether you are moving from province to province or coast to coast, we have you covered! All of our trucks are fully equipped and always well maintained to guarantee that your belongings get to their destination safely. 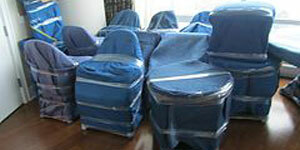 We are a fully licensed and insured moving company.
" Moving is never an easy process. 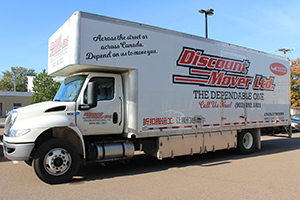 Moving home to BC was a joy and Discount Mover made the move a breeze." Is your company relocating or expanding? Moving to a bigger office space? We can move you. Office desks, furniture, file cabinets, computers and any other items are no trouble. Full packing and unpacking options are available at a time that works for you. We have experience in moving all sizes of commercial businesses; none are too large or too small. 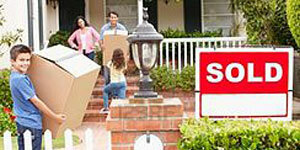 We are a moving company that you can depend on. If you need a hand filling your moving boxes then look no further! 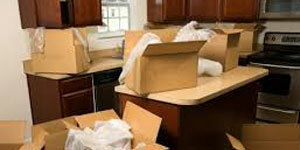 We offer full or partial packing options. A whole house or maybe just a box or two. You decide! 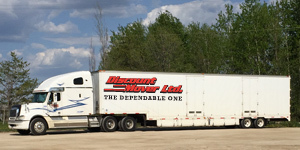 Discount Mover Ltd. has short and long-term, secure, affordable storage available. Maybe you’re moving into a smaller place, across the country or just want to store some furniture for a later date. We are here for you. 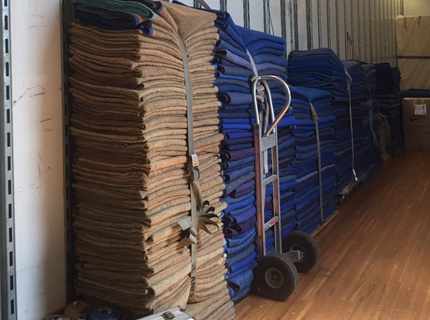 Contact us today for more information on our storage services. 3 Relax, We take it from here !!! We disassemble and reassemble anything you may want moved. Items you think are too large for moving, are not too large for us! Protect your items, protect your home. Ask us how we can best complete your move without any damage! Mechanically lift your motorbikes, safes, file cabinets, vending machines, and anything else you may have thought was too heavy to raise into the truck! We sell a wide variety of boxes, big or small, that will suit any of your packing needs! Please Contact us for pricing.